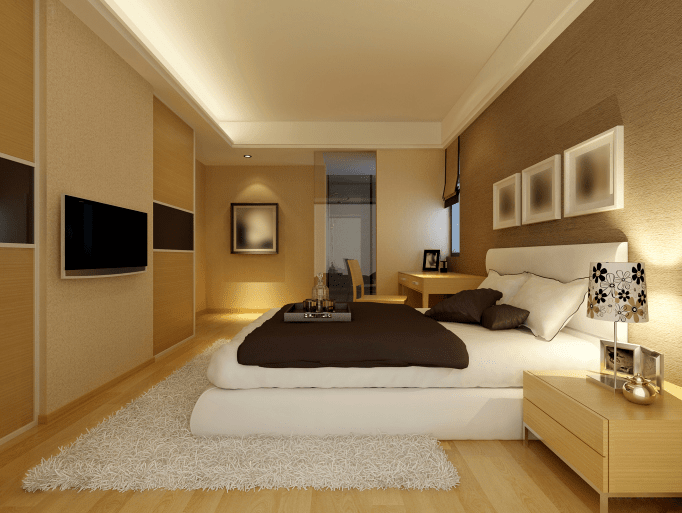 For a bedroom, the aspect of comfort is the first point to consider in decoration. Sometimes, people are confused while deciding the best wall color in the bedroom that fits with the furniture inside. If you already have white furniture, you have a beneficial situation. Why? It is because the wall can be painted on colors as what you want to. Here are some suggestions. Deep blue color delivers calm mood in the room. It is perfect for you if you are a hard worker or a busy person. Maybe, this color will make your bedroom looks smaller. However, if you use many small details in it, it will work so well. Bring the white for the coverlet and headboard and give the coral accents that deliver lighter color than the wall. For the finishing touch, suit the color of the pillow and rug. You will feel like in the deep sea. Light brown for wall color is also a good choice for soothing and warm atmosphere around the room. In addition, it also gives the bedroom modern design. For the best option, paint the ceiling white to give a touch of brightness. 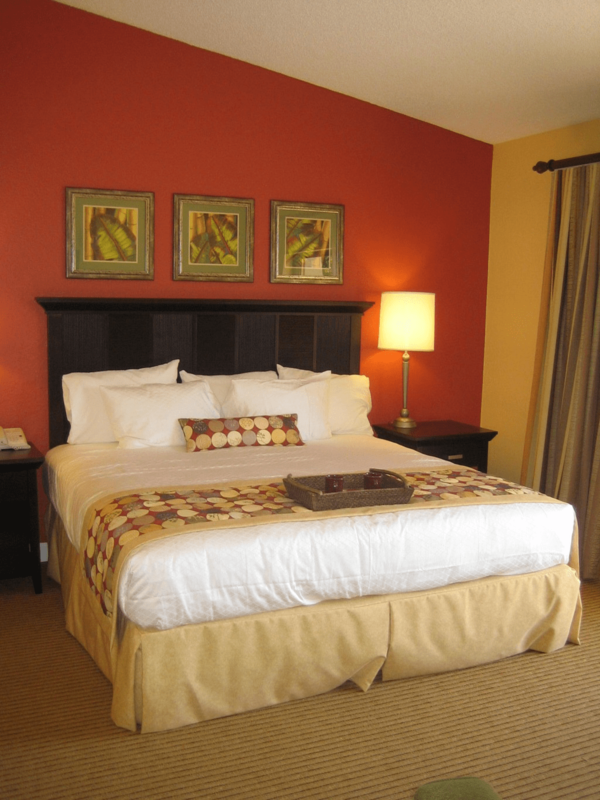 Then, use a brown coverlet and pillow for the white mattress. The combination and also the minimal decoration in the bedroom make the room looks larger. Somehow, it makes a perfect place for dwelling. Use the orange color for the wall if you like the exotic one. It is a symbol of creativity and playfulness. Besides that, it also makes you feel warm and calm at the same time. The combination of orange and white bedroom furniture still creates a calming setting while it gives balance to the atmosphere of the room. 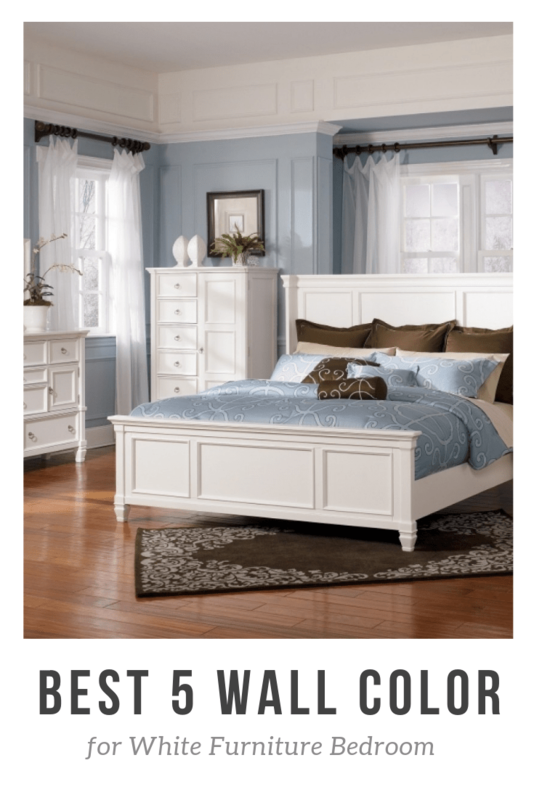 Give all white colors for the bedroom furniture, and also the coverlet and pillow. Give a little crème accent on the bed cover. Last, if you have large windows, it will provide perfect natural light to the wall, making it shine even more. Perfect! It is perfect for you if you are a nature lover. The green of leaf color will make you warm, like you are in the woods. Combine the wall color with white finish for ultimate result. Alternatively, white painting for the ceiling will make a decent touch as well. In addition, it will give a touch of brightness. For the perfect result, put a green rug near the bed, and flower accent or another unique structure on the wall. For the bed and linens, finish it all white, except for the pillow. Give another touch of darker color, such as gray, black, or bold brown. You will feel like in the nature while it feels so roomy. The white color of the wall is also a perfect idea. It is perfect for those who like simplicity in the bedroom. Besides that, it gives an ultra-modern look. Give all white finish for the wall and the bedroom furniture. It is perfect if you put small black or metallic accessories inside the bedroom. Flowers like lilies and other small stuffs on bright colors will be a great touch as well. It will give natural freshness and create the modern oasis. So, these are the suggestions for you to choose for the best wall color. The important is how this wall color is made matches with the bedroom furniture. The color combination also needs to make you comfortable in your bedroom while it remains classy as well. Choose a combination that expresses you the most.